Millions of tonnes of hazardous waste are produced in the UK every year, so it’s vital that any business deals with its hazardous waste removal correctly. The latest figures show that, in 2014, 4.3 million tonnes of hazardous waste was produced in the UK. Of that, 1.9 million tonnes was categorized as commercial and industrial, 1.2 million tonnes as household, and 700,000 tonnes as from construction, demolition, and excavation. The regulations surrounding hazardous waste removal are complicated, but businesses ignore them at their peril. Doing so can be hugely costly. Your business needs to know it has followed the rules right the way along the chain of hazardous waste transfer and disposal. A legal firm which researched the average fine per prosecution brought against businesses by the government’s Environment Agency showed it has increased six-fold over the past five years. In 2013/14, the average fine imposed on a company was £23,731. In 2017/18, the average fine was £147,575. The penalties for the majority of environmental offences were strengthened by sentencing guidance in 2014. Now, fines can be in excess of £20 million for the most serious offences involving large companies. Any prosecution can be devastating whether your business is an SME or a large company. For example, in 2017, a quarry company was ordered to pay £17,000 compensation to a farmer and £26,500 in fines and costs for breaching the hazardous waste legislation after waste containing asbestos was found dumped on a farm. A Hertfordshire waste company was fined more than £500,000 this year for illegally storing thousands of tonnes of hazardous, potentially combustible waste. The Environment agency had ordered it to be moved to a permitted site, some were moved to another illegal site and some which went to a permitted site had inadequate waste transfer notes. A company director was also ordered to complete 180 hours of community work. The Environment Agency estimated clean-up costs at £1.9 million. If the waste transported is a risk to human health, businesses could also face costly civil claims from anyone affected by it. 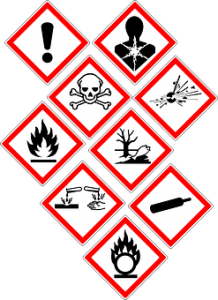 What do you need to know about hazardous waste removal? How your waste is categorised – Waste must be correctly categorised before it is sent for disposal so that you handle it correctly. Find out more here. How it should be transported – What kind of vehicle must be used? A closed skip must be used to transport asbestos, for example, while tankers are needed for chemicals or slurry. How to write a transfer note for it – This can be a complicated process as you need to note the source and category of waste. Where it should end up – Different waste types, electrical waste items, chemicals, asbestos, or batteries, for example, need different facilities registered to handle them. Whether your hazardous waste removal company is correctly registered – Carriers who don’t comply face a fine of up to £5,000 and businesses which use them could also face legal action. How do I choose the right waste management company for my hazardous waste? You need a company with a successful track record in hazardous waste removal, such as Inspire Waste Management. They will understand the complex regulations and will carry out disposal correctly. Do you need advice on hazardous waste from our Inspire Waste Management team? Contact us on 0800 002 9282.
https://inspirewaste.co.uk/wp-content/uploads/2019/02/hazardous-waste-removal.png 340 247 Inspire-admin https://inspirewaste.co.uk/wp-content/uploads/2018/10/inspire-c-waste-e1540324531728.png Inspire-admin2019-02-04 14:33:522019-02-04 14:34:26Why is it so important that my business gets hazardous waste removal right?